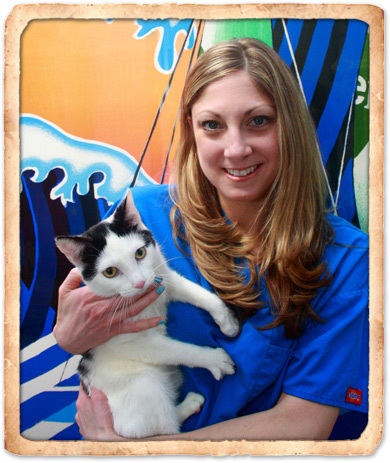 Dr. Danielle Schoen joined One Love Animal Hospital in the fall of 2011. She earned a Bachelor of Science in Biology from the State University of New York College at Geneseo in 2001 and her Doctorate of Veterinary Medicine from Ross University School of Veterinary Medicine in 2005. She gained four years of invaluable experience working as an emergency clinician at the Veterinary Emergency and Referral Group - Brooklyn following completion of her a small animal internship at Fifth Avenue Veterinary Specialists–New York. She takes great pride in diagnosing and treating complex illnesses, as well as using her progressive medicine and dental knowledge. Outside of the clinic she is an avid reader, and her other interests include cycling, going to the beach in the summer, and swimming both recreationally and competitively. 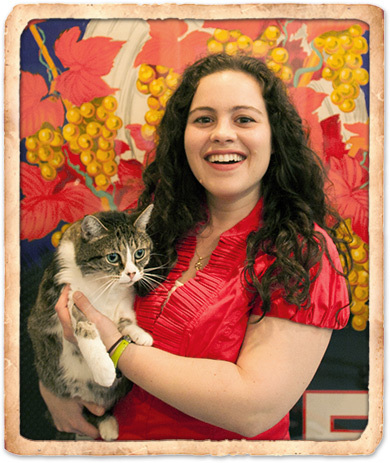 Dr. Michelle Meltzer grew up in Rochester, NY though most recently hails from Las Cruces, NM. She decided at 9 years old that she wanted to be a veterinarian and is very happy to have fulfilled that childhood dream. Dr. Meltzer received her Bachelor of Science from Cornell University in Animal Science in 1999. She worked at the Cornell veterinary diagnostic lab for 2 years before attending Ross University School of Veterinary Medicine in St. Kitts, which she graduated from in 2005 after a clinical year at the University of Illinois. Dr. Meltzer has been at Yorkville Animal Hospital for the past 7 years, and is thrilled to be able to continue practicing here with her old clientele and new ones as well! She especially enjoys wellness exams, preventative care, young and senior visits. Continuity of care and getting to know her clients and patients well are very important to her. In her time off she can be found skiing during the winter, spending time with her pets, traveling, running, and reading. 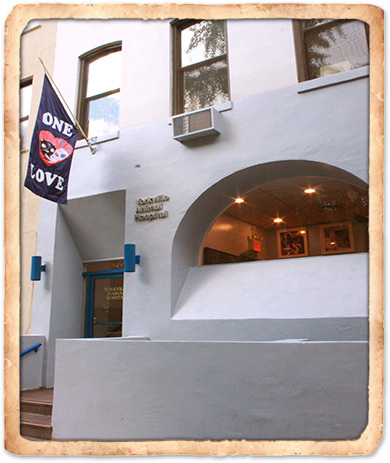 One Love Animal Hospital opened in October 2010 by husband and wife vet team, Dr. Kenneth Humphreys and Dr. Eliza Lischin. Since then, it continues to be a trusted name in pet health, as it provides comprehensive quality care essential to enhancing the human-animal bond shared between you and your pet.